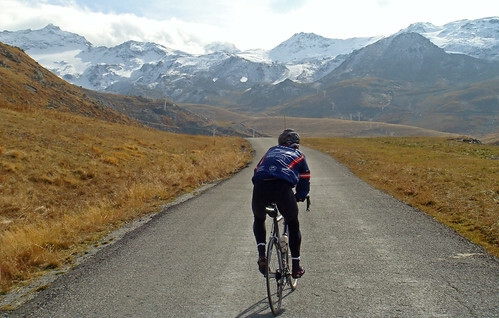 Back in January 2008, To help winter pass, I wrote about 5 big climbs – that I had never cycled – all above 2000 metres. 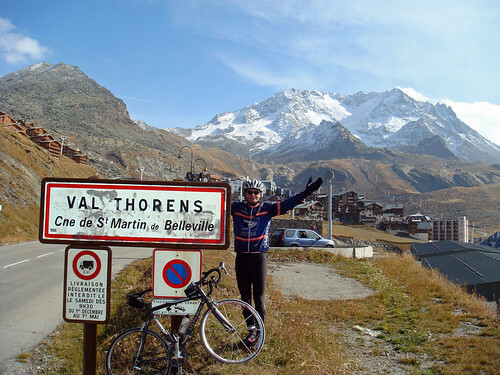 Val Thorens was the 4th to be completed …. 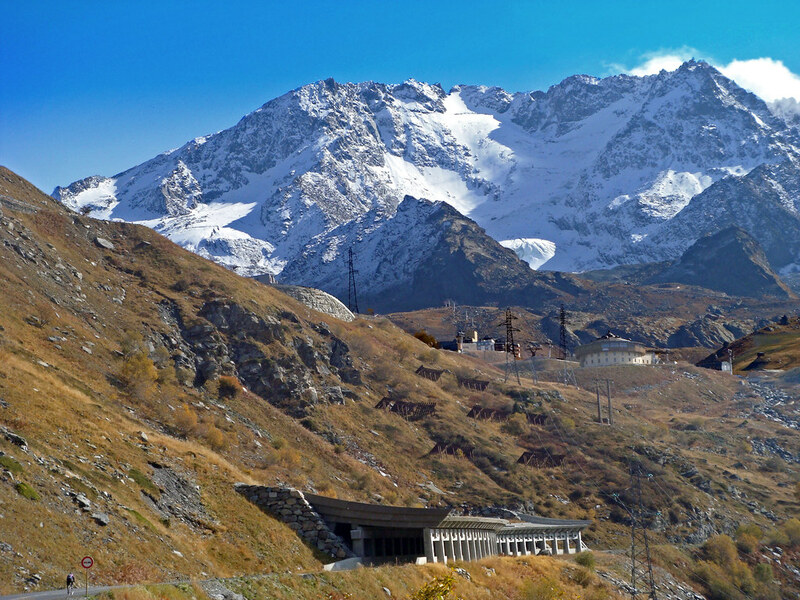 Col Agnel next year? 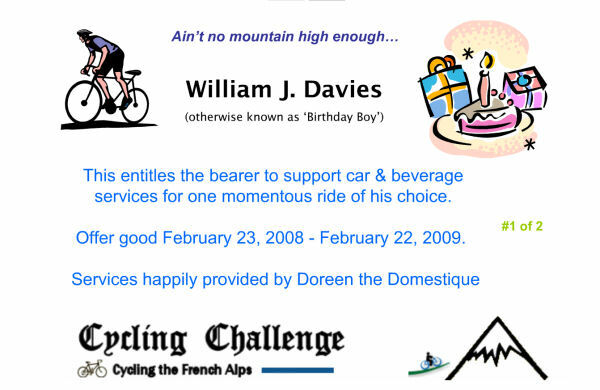 I used my second and final “Car Support” birthday coupon from Doreen. So another super fun day with filled water bottle hand-offs, bum pushes, enthusiastic cheering, cookies, and a lovely photographer. The climb starts on the exit ramp of the Auto-route – or 30 seconds away in Moutiers – so we stopped at the 1st hairpin and unloaded the bike. 38 kms is an awfully long way to go uphill – but the route isn’t “too” steep and a couple of small downhills provide breaks. 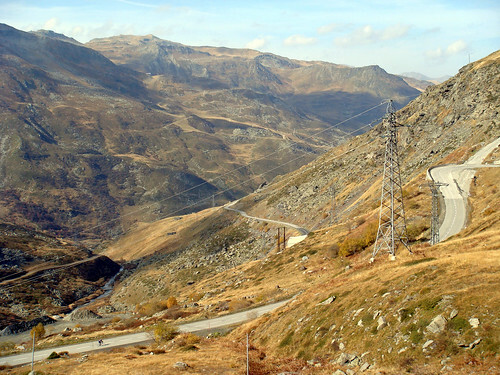 Tour de France: Obviously rated Hors Categorie, this climb has appeared only once in 1994, stage 17. 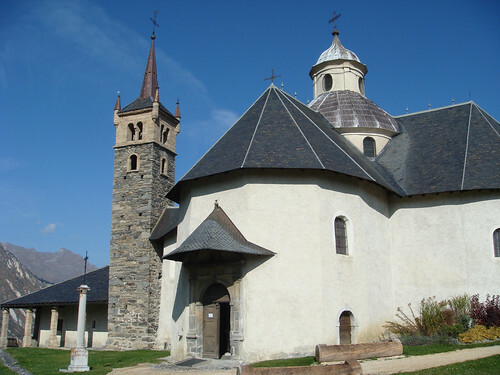 With several towns along the route – there is light but fast traffic on the first half of the route. After Saint-Martin it gets much quieter and the scenery ever more savage. Can you find me in the photos below? I rode another kilometre or so past the town sign to reach the high point at 2340 metres. Once at the top, I was thrilled to get in the car and drive down. It would have been a terrifyingly cold and long descent. Thanks again to Doreen for such a fun birthday present. Congratulations on living the life! I have been following your blog for the last month or so – fantastic rides you are doing!! When you post your blogs, i love the pictures but it would be great if you could provide more details – we want to hear more about these adventures!! Impressive (very) and it is also clear that Doreen’s BD present idea for you was 100% on target. A cyclist’s dream spouse.